Ram, arm or mar – they all have the same letters. 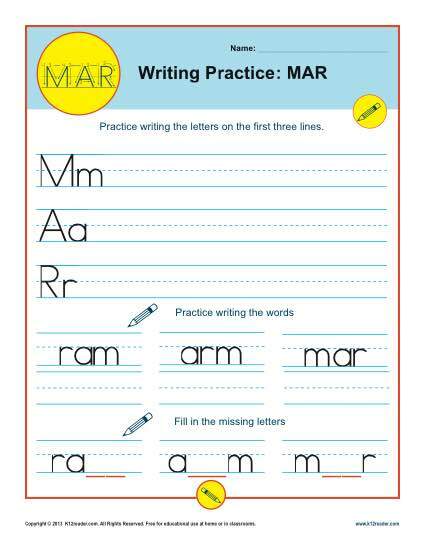 In this handwriting worksheet, your student will practice writing these oh-so-important letters. While it’s perfect for Common Core Standards for kindergarten and 1st grade Literacy, other student may also benefit by the practice.